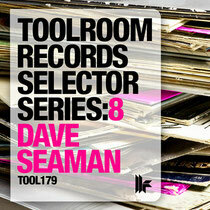 Returning with chapter eight in the Toolroom Records’ Selector Series, Dave Seaman’s challenged with singling out a handful of favourites from the ever-growing Toolroom back catalogue. A DJ with over 25 years of experience under his belt, and a natural ear for picking out a perfect production, Dave navigates the back catalogue with expertise and weaves 20 Toolroom tunes into a full-length DJ mix. Peppering the mix with classic cuts such as Funkagenda’s ‘Breakwater, ‘Question’ from Adam K & Soha, and ‘Weakness’ by D-Formation, whilst switching things up with fresh Toolroom tracks such as Popof & Olivier Giacomotto’s ‘Back Together’, ‘Raw Vision’ by Wehbba and Luigi Rocca’s ‘Es Vedra’, Seaman picks out a superb selection of favourites that spans the years. Out now, check the video below.